It’s finally here! 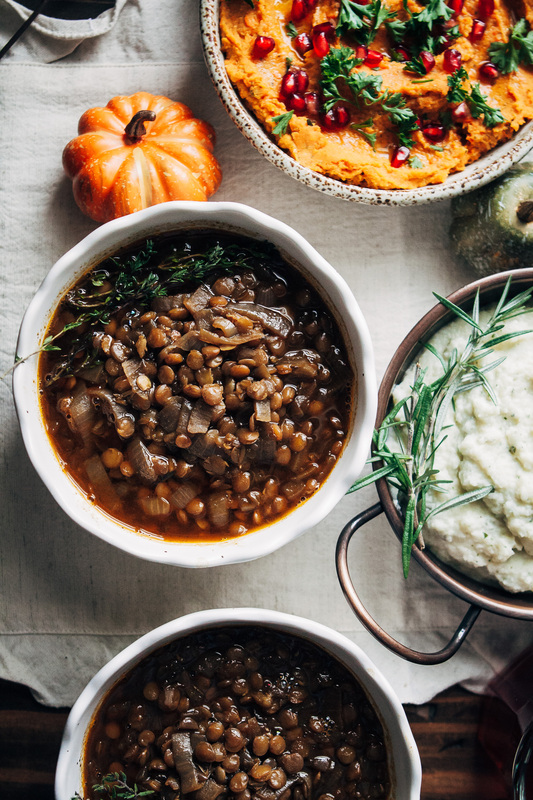 The ultimate Vegan Thanksgiving – a collection of recipes from tangy cranberry sauce, to hearty French onion stew gravy, and delicious mashed cauliflower! Hi folks!! 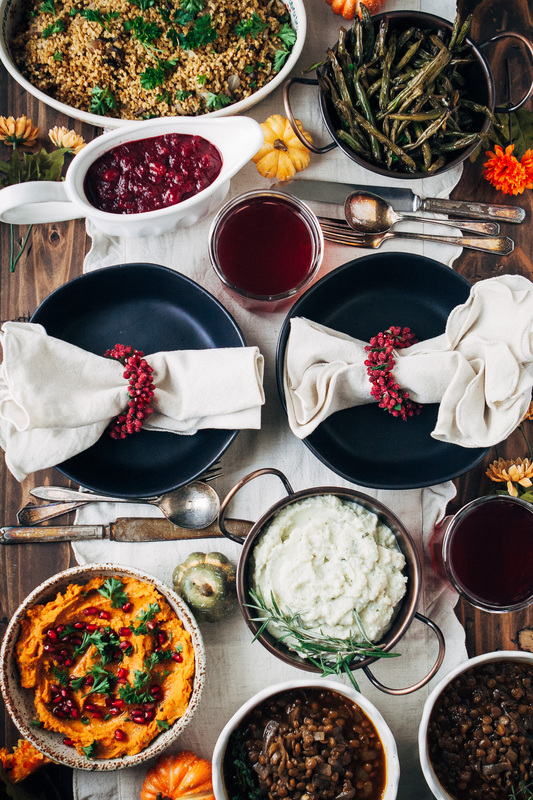 I am SO SO excited to bring you this post today, because I worked so hard to create a series of vegan Thanksgiving recipes to share, with a beautiful set of photos to go along with it. 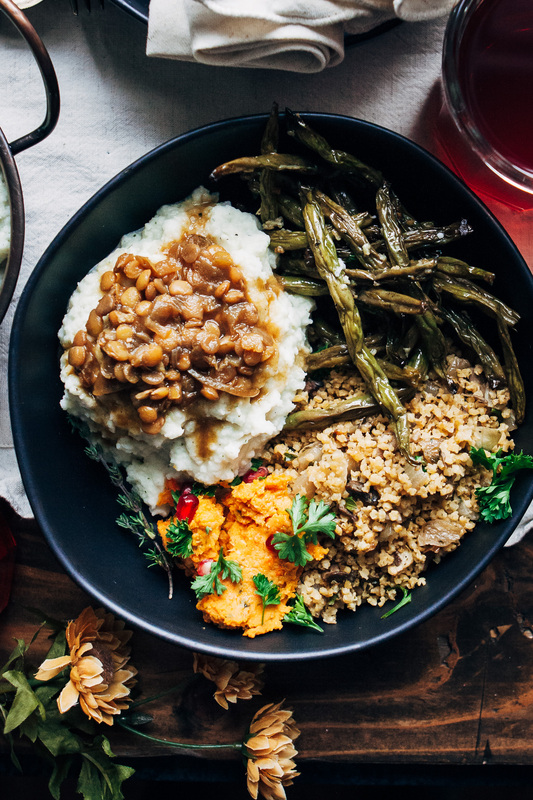 This roundup features my favorite vegan Thanksgiving dishes, including my best green beans recipe and an AMAZING French onion lentil stew. 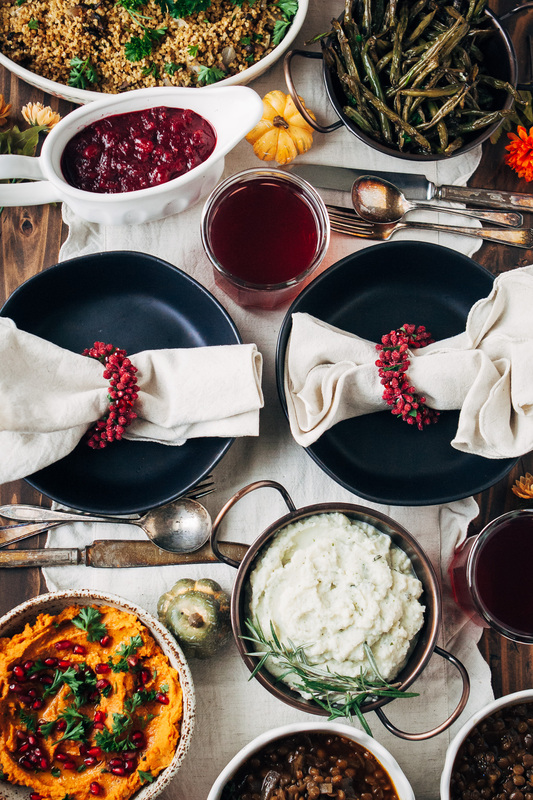 I’m so happy with how the photos came out – I really wanted to set a scene of a beautiful, plant-based Thanksgiving table with a little something for everyone. I LOVE this recipe because it’s delicious on its own, but also works amazingly as a gravy! 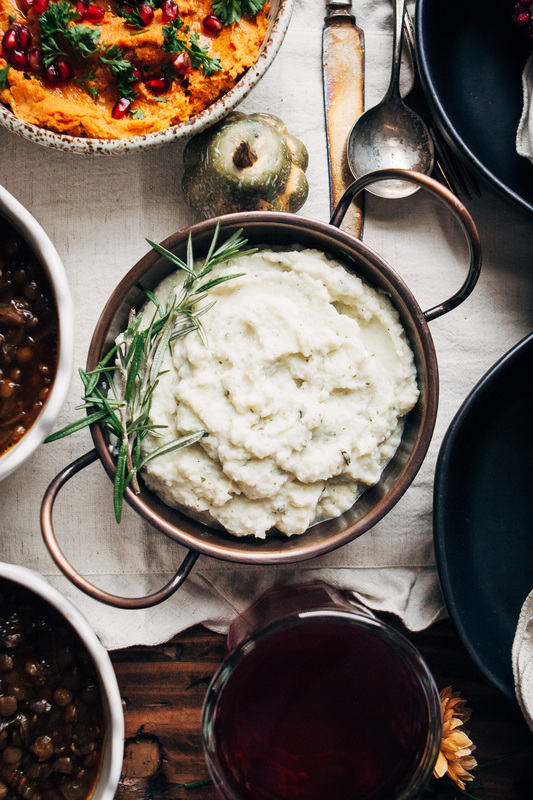 In the photo towards the top of the page, you can see it paired with my vegan mashed cauliflower, and the combination is SO good!! This recipe is crazy delicious – fluffy mashed cauliflower made with rosemary, herbs, and garlic. I wanted to make mashed cauliflower instead of potatoes because it’s way easier to make cauliflower. You really need to hand-mash potatoes (because they get gummy otherwise), but cauliflower blends up beautifully in the food processor. These green beans are a staple at all my family parties! It’s amazing how roasting vegetables brings out so much flavor. They’re simply roasted with garlic, lemon, salt, and pepper – such a great combination. 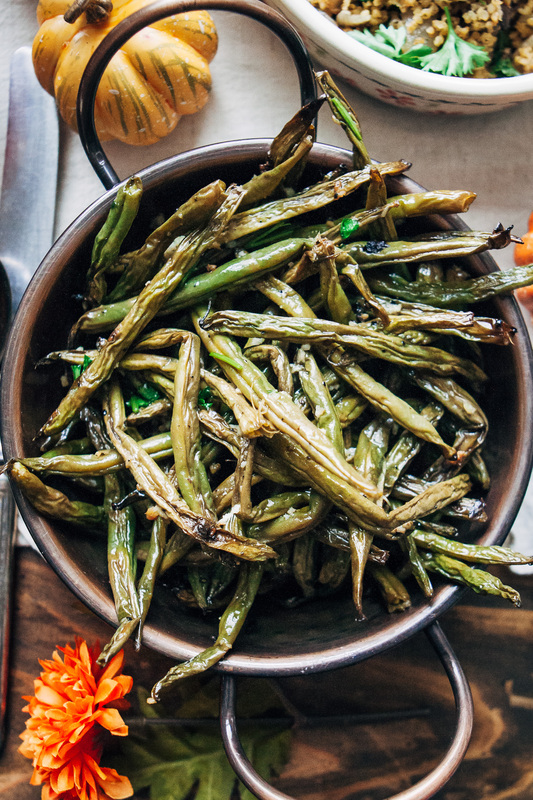 I make these green beans all the time at home, too! I had to create a dip recipe because my family is obsessed with chips. This hummus is super tasty, but what I really love about it is that it’s so beautiful and festive to look at. Your friends and family will definitely be in the holiday mood when they eat this herby hummus! 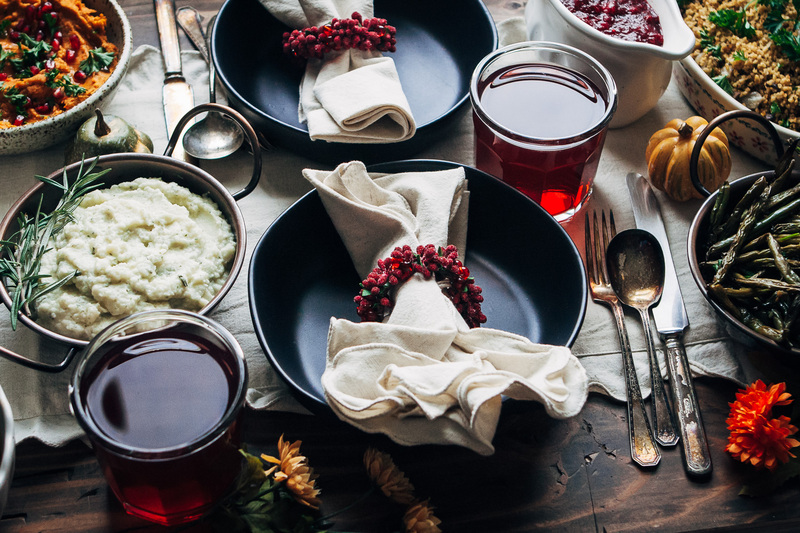 I never realized how easy it was to make your own cranberry sauce at home before I developed this recipe. It’s amazing how only a handful of ingredients can create something so flavorful! My favorite part about this recipe is the fresh orange juice and zest – it really brings it to the next level. I created this recipe back in 2015, when I first started blogging. I updated the recipe this year so that the instructions would be easier to read, but the recipe has stayed the same. 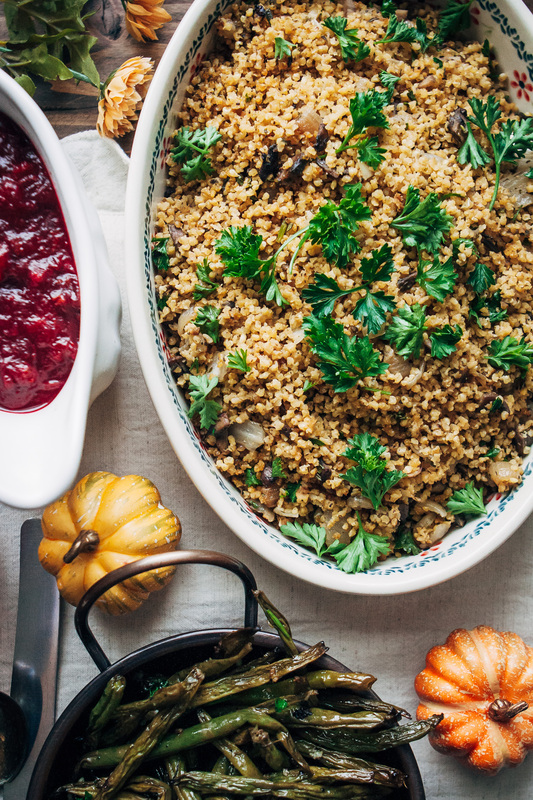 I love using millet here because it’s such a unique way to enjoy stuffing! 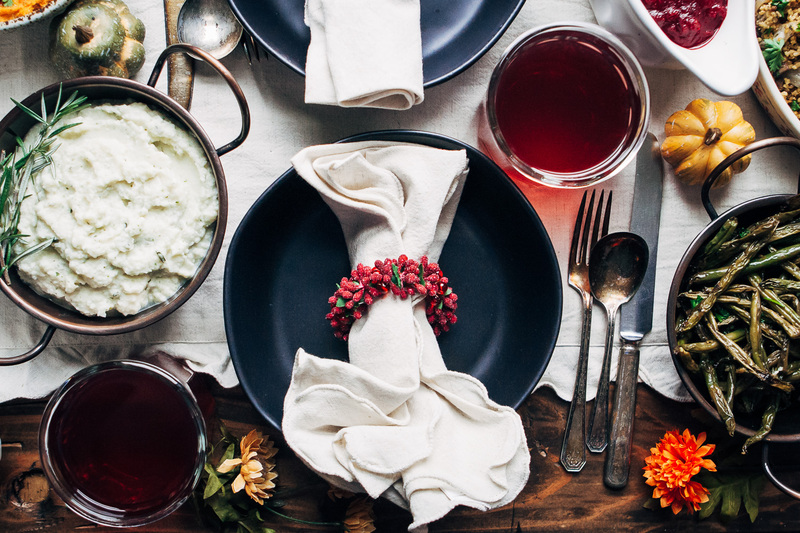 In the spirit of Thanksgiving, I also wanted to share a list of things I’m especially grateful for this year! 2 // My dog Ivy. Earlier this year I found out that Ivy had been in a car accident while she was being watched by someone else. Hearing about that was my worst nightmare come true. Even now, I’ll still have bad dreams about it. But I am SO grateful to God that he sent His angels to watch over her that day. I am so grateful that she is alive. She is my precious baby, and she is the most important thing in the world to me. 3 // My blog. Having a space as a creative outlet to share my recipes means the WORLD to me. I LOVE blogging so much. 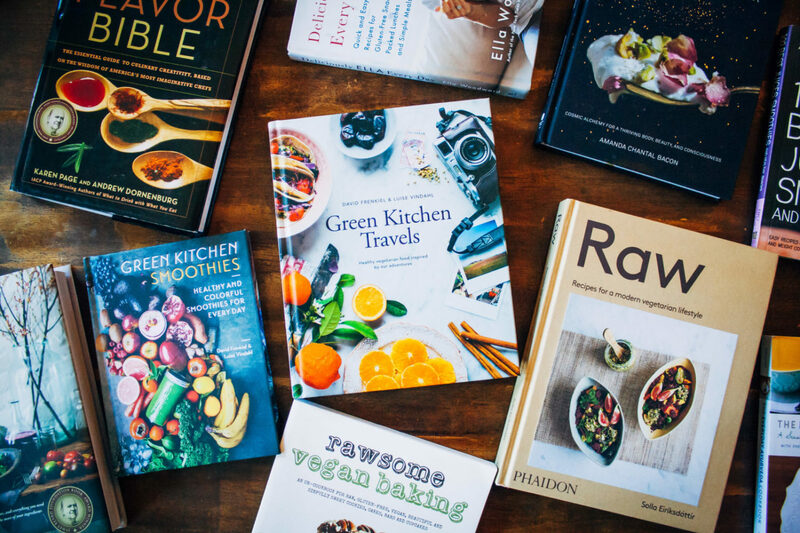 Creating a delicious recipe, taking a nice photo, writing a new post every week – it’s all so great. If you’re reading this, thank you so much for being here. I appreciate you a lot!! 4 // My Instagram. I felt that this deserved its own item! I’ve been spending more time on Instagram (in a good way) and I’ve made so many great friends through that platform. 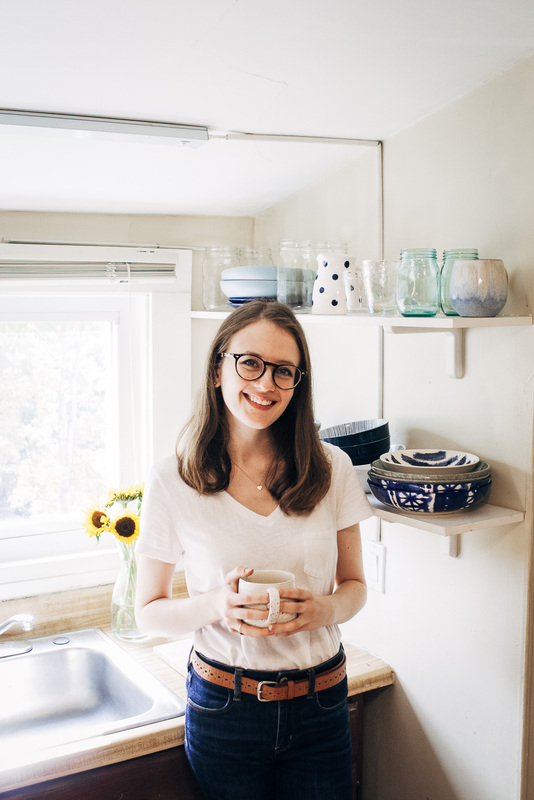 I love connecting with readers and other bloggers and sharing a little part of my life every day. Up until a few months ago, I had struggled with what to share on IG. I honestly tried to share what I thought other people would like, not what I truly wanted to post. But then I started posting my recipes AND my daily meals, and it was so nice to see that people liked this true expression of my life! It feels great to be accepted by such a wonderful community of people, and I’m very grateful for it. 5 // YOU!! Again, thank you so much for reading and supporting my blog. It means more to me than I could ever say. From the bottom of my heart, I hope you have a wonderful and blessed Thanksgiving! Well I wish I was spending Thanksgiving at your home! This feast looks totally perfect Sarah! Such a great variety and everything looks delicious!